The White House announced earlier this year that October 19th of this year was going to be the National Astronomy Night, and invited professional scientists and amateur astronomers to host events around the country. The goal is to expand access to STEM experiences for the next generation of scientists, engineers, and inventors. The White House announcement can be viewed here. 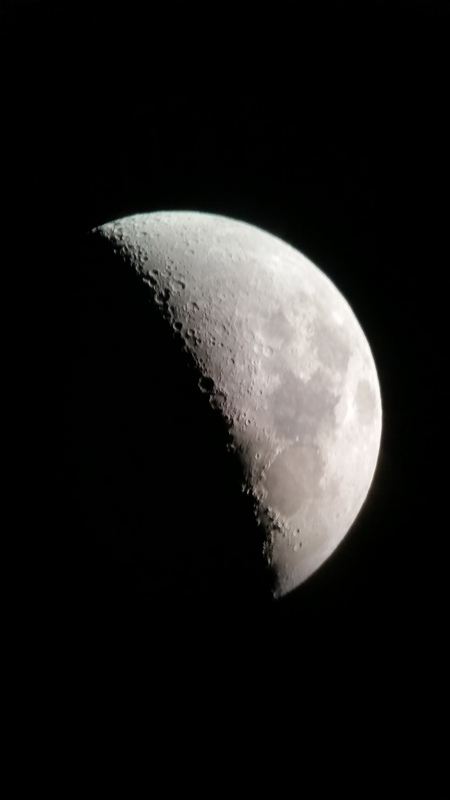 APS Professor William Moore responded to the call by hosting a Star Party on Hampton University campus, and invited the campus community to come enjoy the views of celestial objects through telescopes. 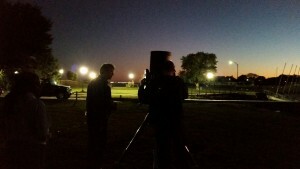 The event was supported by Virginia Peninsula Astronomers and Stargazers (VPAS), whose members joined with many telescopes and binoculars of their own. The APS department has enjoyed a productive partnership with VPAS since professors Moore and Sayanagi joined the department to expand our planetary science research. Professor Sayanagi and graduate students John Blalock and Steven Buckner also helped organize the event and operated some of the department’s portable telescopes. Many students, professors and staffs of HU attended the event, and there were a few members of the public at the event also. Main celestial attraction of the night were the waxing crescent moon, planets Saturn and Uranus, the Ring Nebula (in the constellation of Lyra), a few globular clusters, and the great Andromeda Galaxy. The weather cooperated beautifully, and the observing conditions were excellent. 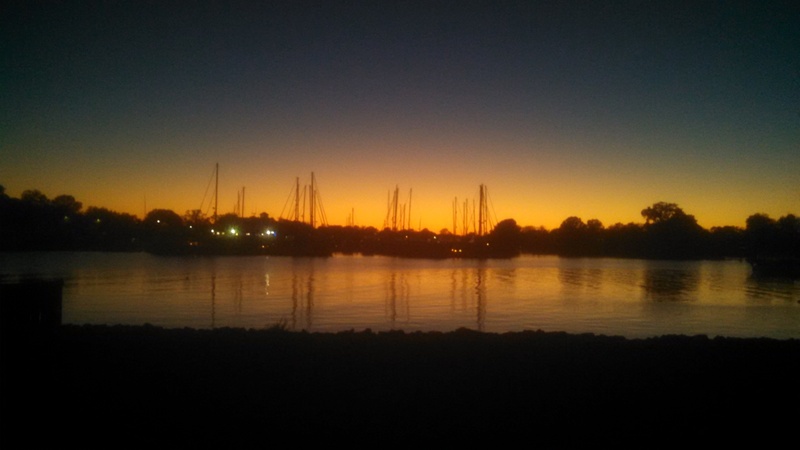 Sunset on the Hampton River before viewing started. Dr. Bill Moore and student John Blalock setting up the department’s 16 inch telescope. 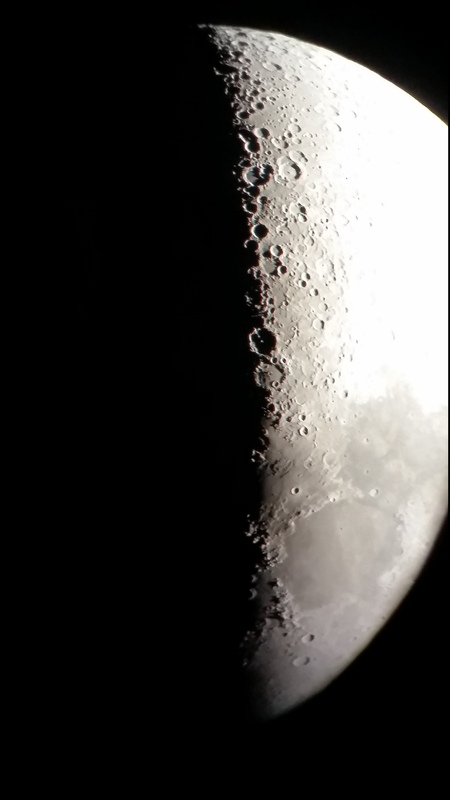 Student Steven Buckner captured this image of the Moon’s terminator on his cell phone using our 16 inch telescope. Another image of the Moon captured on Steven Buckner’s cell phone using the 16 inch telescope. Stay tuned for more astronomy events on campus!